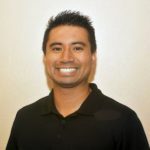 Very recently a good friend of mine who owns a gym and is a well-respected strength coach in his area asked me for some advice on increasing his local search engine optimization (SEO). I gladly reviewed some documents that were proposed to him and ended up recommending that he NOT pay a SEO company upwards of $8000/year, and rather learn free methods that have helped me in the past and currently helps me run KIPS. Having done SEO for my old fitness bootcamp company, I have more than the average person’s’ knowledge in this area, and actually enjoy learning about how to improve SEO. Probably the best small business tool created by Google that SEO companies will most likely not want you to know about. Google Search Console essentially helps you improve the meta-data using simple tools such as data highlighter, helps you set the country you are trying to target (if you never set it, how will people ever know), and allows you to connect your site-map directly to Google. In my few run-ins with SEO companies, “meta-data” has become the word of choice used to help sell companies on their service. Many SEO friends I speak with and even Google articles that I have read have decreased its importance recently, and with Search Console you can follow their easy-use tools and not have to bother with trying to incorporate complex code into the header/footer of your website. My favorite part of search console has to be the site-map uploading abilities. Your site-map is essentially a digital map of the content of your website. Like I mentioned earlier, SEO should be viewed as providing information to search engines so they can better understand and catalog your website. Not only can you upload your site-map to Search Console, but they will manually update it for you, which is typically recommended once new content is published. If using a WordPress site, using the plug-in Yoast makes this process simple and can be completed in less than ten minutes! I have also done this with websites developed on SquareSpace, which again is a quick process. This tip might sound pretty standard but you would be surprised how many websites I’ve seen that do NOT include information about their place of operation. In most website builder sites this can be achieved in the settings tab where you can enter your location’s address, or if you run a mobile or online business, entering the city will be better than nothing. Taking this one step further, if using SquareSpace to build your website you can even enter the location of each blog post, which ultimately means more information being provided to Google. As I will continue to stress, thinking of SEO as providing information to search engines will help you understand why you are utilizing tools such as Google Search console and using sitemaps. On social media, geo-tagging the city or location where you do business is one of the many essential steps of using social media. I would rank this one right up there with using the appropriate hashtags for your business. If you don’t geo-tag the city or location where you do business, your post is essentially in the openness of social media and minimizes the audience of those who can view the post. Follow this step and make sure that you maximizing your time spent on social media. While I briefly mentioned social media in the previous tip, using social media in general is a positive for your business. When I ran a fitness bootcamp in Long Beach, CA, posting on social media was a daily task regardless of who was teaching the class. As I’ve mentioned in previous posts, IT’S FREE MARKETING! I will add my caveat of don’t just post to post, but have a plan of action for each post and have a reason behind each hashtag you use. Especially with most platforms making it easy for you to post on the major three (Instagram, Facebook, Twitter) with one click of a button, there really is no excuse to not have well-organized social media pages. If you are running a small business and have little money for marketing, running a well-organized social media campaign can bring in new business and grow your exposure nationally. For brick and mortar gyms, having a well thought out social media presence can attract new members or even update existing members on promotions or new classes. I HIGHLY recommend that those established gym chains with multiple locations use targeted social media posts to build your brand as well as benefit all locations. In the past I have worked for a gym that promoted only select locations of their clubs, and the others were left in the dark to just answer questions on why they weren’t running the same promotions. Using the comment section of the post or highlighting different clubs in these situations can help keep members happy, as well as the teams working at each location. 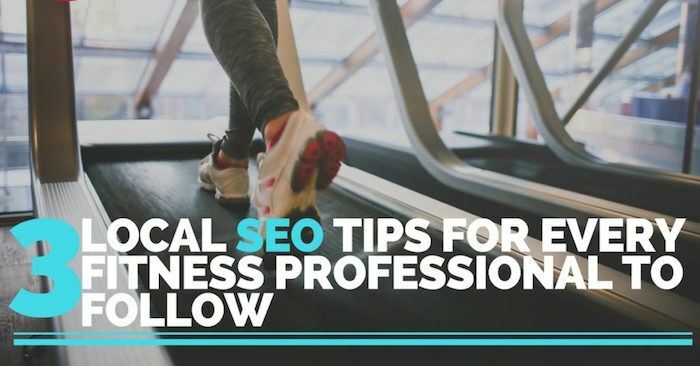 Local SEO is a bit more focused than national campaigns, but is good practice for those individuals and companies looking to get more exposure down the road. SEO is not a one post a week deal and then stopping efforts because sales didn’t increase. It is a constant of your weekly tasks that can have big payoffs in sales and marketing expenses. When I ran my bootcamp business for 4 years, I made the mistake of spending money on an “SEO Builder”, and to this day I believe it was one of the biggest wastes of company money. Since then, I have invested in tools and tasks that I can do on a weekly basis, and cost the business ZERO dollars. Often times my bootcamp would rank on page 1 and 2 for the popular target words, and this was done by following the 3 tips listed above. Stay consistent and invest in learning via the free resources available on YouTube. I can’t stress enough how beneficial these 8-10 minute clips can be and how it can change your perspective on SEO. Thanks a lot for your valuable article.Useful article that you had mentioned.